Dear Arnold, many thanks for your email and attachments covering your concerns regarding the above. Clearly cycling and walking facilities are an integral part of our sustainable transport policies and great assets to help improve quality of air, health and well being of our community. You may be aware that later this month and in early February, the Council is having extensive public and stakeholder consultation in this regard and I look forward to contribution from groups like yours there. myself and Cllr Tripp. Once I have this, I will get back to you and if necessary meet to discuss any issues. In any event I hope I will have the opportunity to meet you at the consultation events. In addition LCC and ourselves we have raised concerns in respect of hte major Stratford Waterfront Development – largely on the grounds that this development should be an opportunity to correct some of the major defects in the cycling facilities in these areas. Those wishing to see the submission should get in touch with me. There will be a Newham Ride, with a heritage theme on 11 November 2018, starting from the View Tube Cafe at 10.30 am. A leisurely and quiet jaunt around some sites in the borough (or immediately adjacent) with a story to tell. At least one refreshment stop. For map of the start see our events section. A packed agenda stimulated some lively discussion. Mike updated on the Greenwich and Woolwich footunnels, . We will pursue with Newham Council the updating of the bye-laws – which include pilot schemes permitting cycling, but may need adjustment to accommodate non-standard cycles. Steve led discussion on rides. The last ride of the year with the AAA children’s cycle club will take place on 3 November with (possibly) a ride to the Fireworks later that evening, and a short Newham Ride with a heritage theme on 11 November. Steve is working on next year’s ride calendar. The starting point will be this year’s rides, which have been successful in particular in attracting participants from outside Newham. 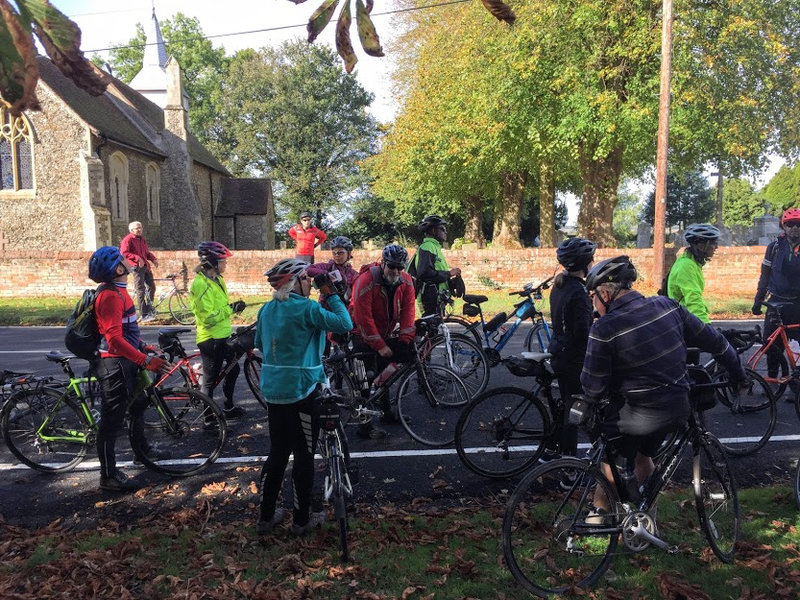 We are looking for a broad range of ride leaders and can arrange training through LCC. If you have a ride you would be able to lead get in touch. 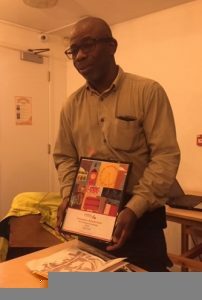 We celebrated our campaigning award on Stratford Town Centre (note, no longer a gyratory), particularly for Olawale who was not at the the LCC AGM to receive it. The scheme has rightly been recognised for its quality. 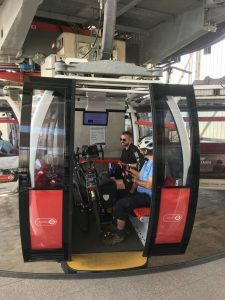 Some construction issues were highlighted and a further audit ride is planned. In the longer term we need to remain alert on 20mph, conflicts with pedestrians, and rat running in the margins of the scheme. We are planning a audit ride for Quietway 22 (the Greenway), and discussed out continuing concerns with Quietway 6, across the north of the Borough which still under development . 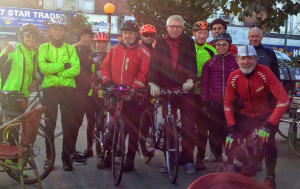 (a) Bike for Boleyn are holding a Quiz Night on 23 November at East ham Working Mens Club, 7.30pm. 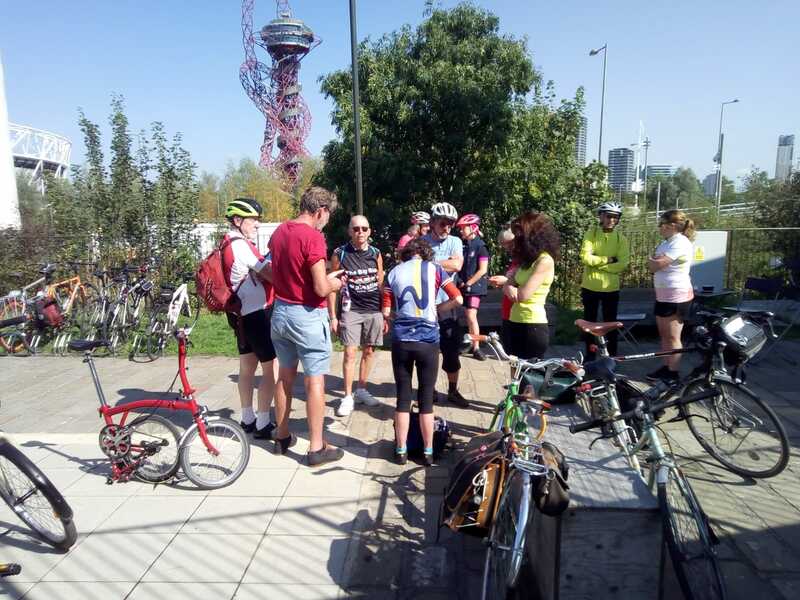 (b) Waltham Forest have expressed a desire to associate with our initiative on the QE Olympic Park – there being a meeting of the LLDC Sustainable Transport Group following July’s audit ride shortly. This is the letter that we have sent to Cllr Tripp, having discussed and agreed at our September meeting. 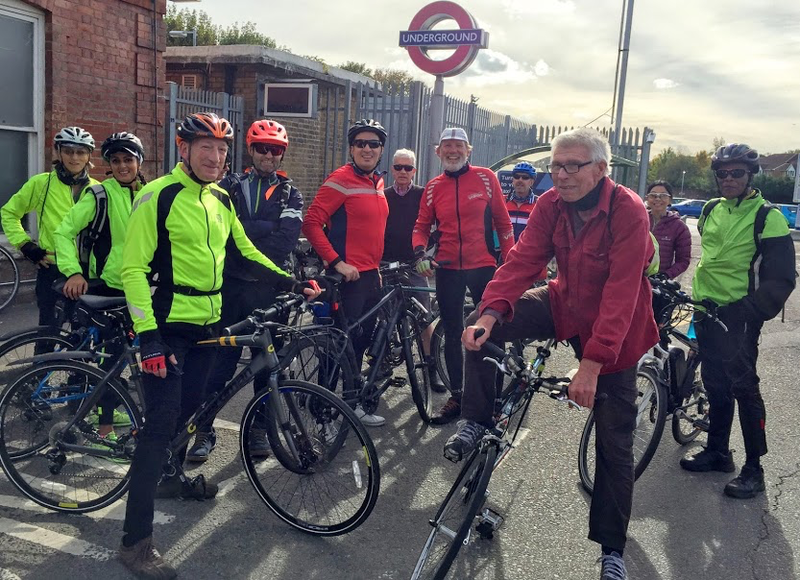 Bright sunshine greeted us as we met at Leytonstone station to gather for a group photo before setting off into the wilds of Essex. 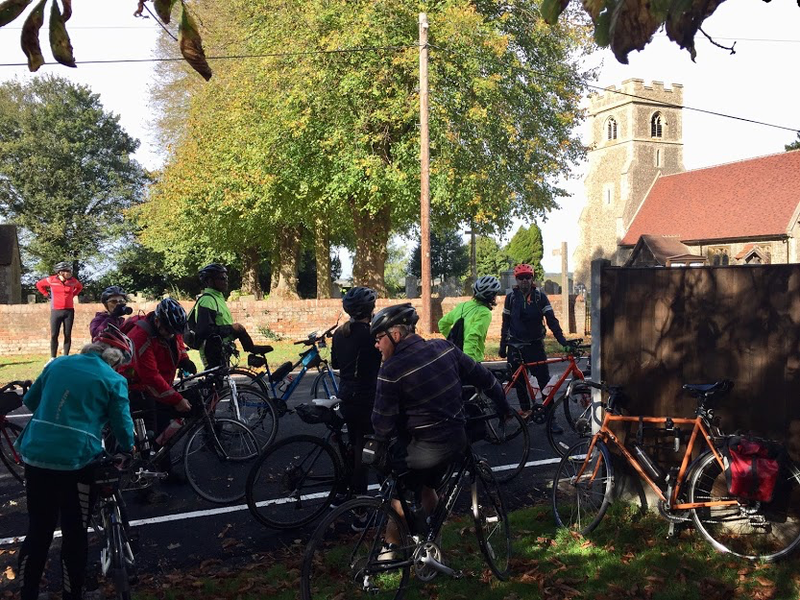 We were sixteen strong setting off from Epping station finding the quiet ways through the splendid countryside on a glorious autumnal day. After crossing the busy A414 we followed well maintained and quiet roads. We saw the house that Steve Marriott, lead singer of the Small Faces, lived and died in and with now has a blue plaque. The curious story of the two churches of Willingale was another interesting stop en route. Why does this tiny village have two churches to serve the congregation? Below is the route and statistics for this ride. Latest proposals. Please comment as individuals, as well as our group response. A substantial gathering of 13 eventually gathered to occupy a corner of the the Golden Fleece. Discussion was, as usual, lively and interesting. We started with a presentation by Michael Barratt, TfL’s Development Impact Assessment Manager, who has enormous expertise on alleviating the adverse impact of development works on walkers and cyclists. He was seeking our assistance to apply a “3 Tier Assessment Works Assessment” process, the first tier involving cycling and walking, the area of the proposed works with the contractor and determining the challenges (particularly for those with disabilities and adapted bikes) and the space available to meet them. Tier 2 is to design alleviating measures. Fort his purpose TfL’s Temporary Traffic Management Handbook (currently in draft) is very helpful. Tier 3 is feedback during works. From the Newham perspective the major current works are at Stratford which is proceeding reasonably well. Michael has assisted us recently in improving this and the more problematic works at Bow Flyover on CS2. The meeting was receptive to pursuing this for future significant works and we will pick up with our Newham Council contacts how to do this effectively. Most roads in Newham are the borough’s responsibility (as opposed to TfL). In the meantime any comments on the Stratford works can be sent to our contact e-mail for collation and submission to the responsible Newham Officer. Newham are consulting on a “liveable neighbourhood” scheme likely to form the borough’s bid for TfL funding – in the Freemason’s Rd area. There is currently a high level consultation to which we will reply but as usual individual responses would be helpful. Richard will be taking forward, with an interested group, the idea of offering councillors bespoke rides with a walking /cycling perspective. A proposed letter concerning the QE Olympic Park will be taken forward with LCC HQ and other interested boroughs being invited to participate. 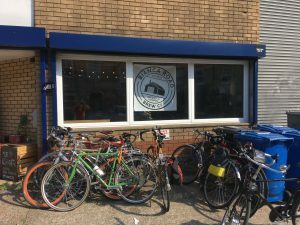 Newham Cyclists and Newham Living Streets will take forward a letter concerning the cost of parking permits, a draft of which was discussed. 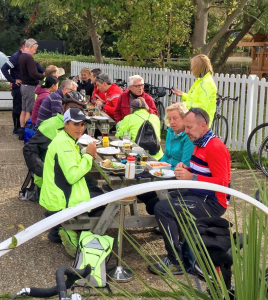 A busy October in prospect with an Fix your Ride stall on 13th, an Essex lanes Ride on 14th, Bike from Boleyn on 20th, and an AAA bike fixing stall on 27th. Volunteers for stalls always welcome and if you are interested and have not already volunteered please get in touch via the contact e-mail. 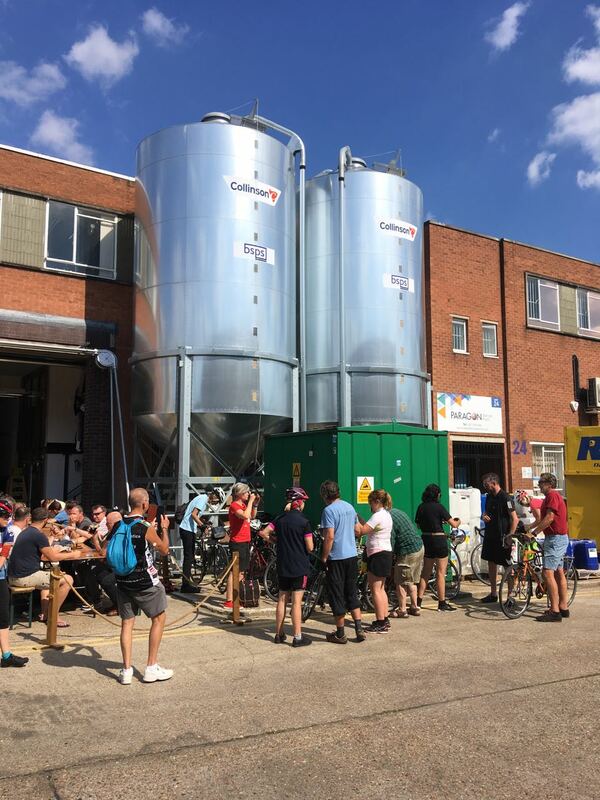 13 of us set of from view tube on another sunny day for a tour this time of South London Breweries. 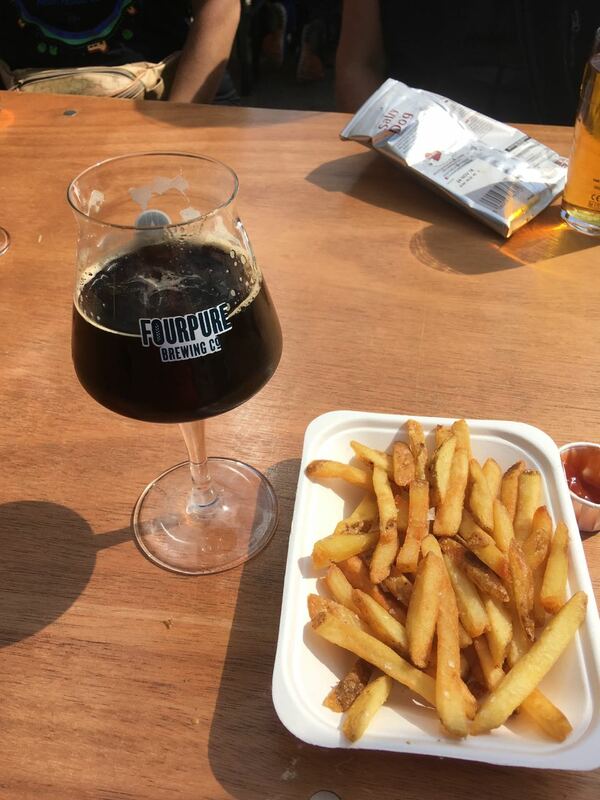 First port of call was however the Husk Brewery in Silvertown–a rare Newham brewery! 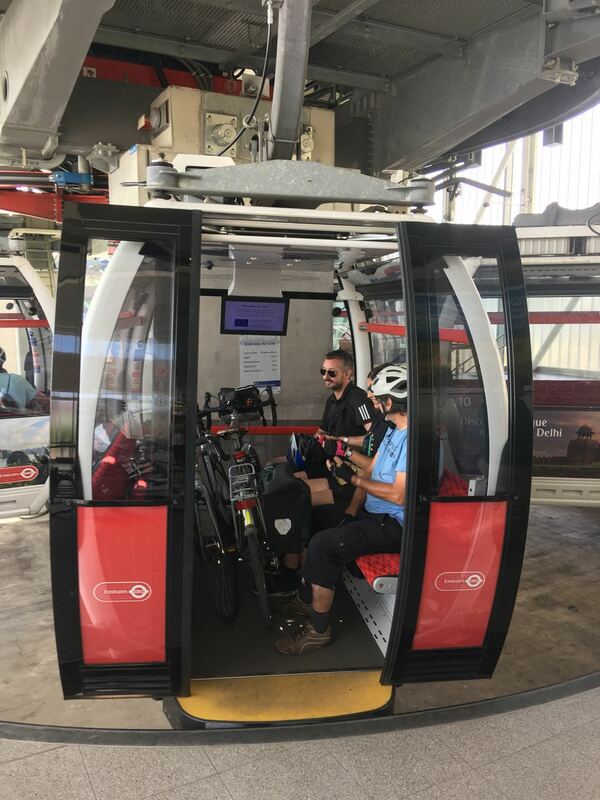 (Where another rider joined us) We then moved south of the river using the cable car that accepts bikes on board – I still get excited of the great views of London from the high points! –we then visited more breweries on the ‘Bermonsey beer mile’ as well as stopping at new Bianca brewery that had cycle themes, bike friendly owners & even a brewery tour of the new Spartan brewery where rider s quizzed brewer on brewing process. We then crossed river again via the iconic (but busy) Tower bridge to visit the recently opened Old st brewery in Bethnal green for our final tasting stop of day. We then crossed Victoria park passing Peoples tavern (Laines brewery) finally Crate Howling hopps & trumans & those remaining back to view tube on greenway! In all we covered over 20 miles & visited 20 breweries/ tap rooms & 1 Cider house!